Without looking outside, you can probably tell winter is here just by the way your skin looks and feels. If you suffer from dry, cracking, sandpaper-like skin during the winter (or any time for that matter), you know what I am talking about. It’s time to fix it since winter isn’t going away any time soon. First let’s talk about why you have dry skin. For some of us, it’s genetic; for others, it can be a sign of getting older. Our skin’s oil glands tend to produce less oil as we age. Dry skin may also be the result of your environment. Dry, cold winter months mean there is less humidity in the air, which helps moisturize skin. And no, taking a hot, steamy shower will not cure your skin’s humidity shortage. In fact, it will only further parch your skin. Heat and air conditioning can also dry out your skin. Humidifiers and lukewarm showers can certainly help your condition, but we also recommend the following skin products and practices to successfully quench your thirsty skin. Exfoliate: Even if you have dry skin, it is still important to exfoliate and remove all of the dead skin cells off the surface of your skin to soften it up. 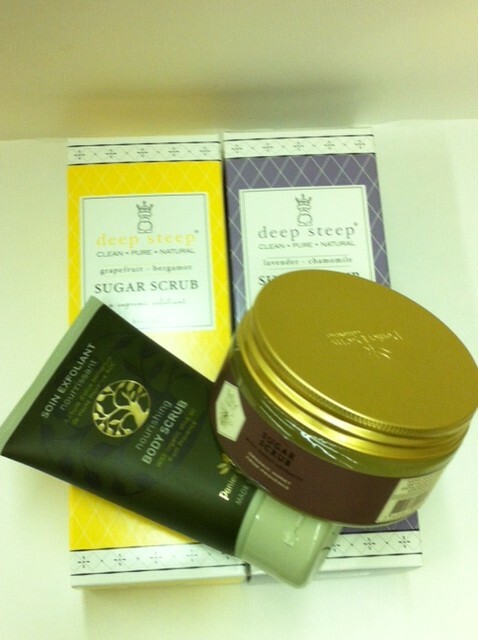 We suggest using a sugar scrub to exfoliate. Sugar scrubs will help remove the excess dead skin cells, unclog pores, stimulate blood flow, and prepare your skin to receive moisture. You can also create a similar effect by using an exfoliating cloth or sponge in the shower. We suggest using our Vic Cloth because it is gentle enough to use everyday. 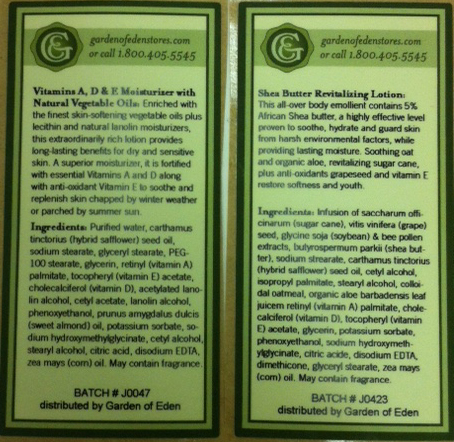 Garden of Eden offers a variety of different body scrubs designed to polish and soften skin. Oil: Before you towel off after taking a lukewarm shower, rub some oil on your skin to lock in the moisture. 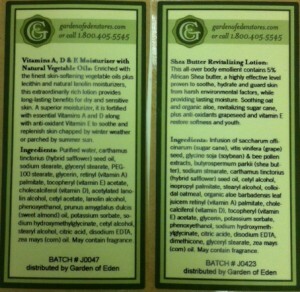 We suggest our own Garden of Eden oils: Bath & Massage Oil, Sweet Almond Oil, Sesame Oil, or Avocado Oil. You can also add a small amount of these oils to any of our lotions to add a thicker, moisturizing sheen to your skin to help protect it from a cold and dry environment. We recommend adding an ounce of sweet almond or avocado oil to our Vitamin ADE or Shea Butter lotions for seriously dry skin. Our most popular nourishing lotions are custom made to hydrate dry skin and can be blended with perfume or essential oils. Condition: Lotions rich in Shea butter, cocoa butter, hydrating vitamins like Vitamin E, oils such as jojoba, coconut, almond, or Argan, and fatty acids derived from fruits and vegetables are especially beneficial in treating dry skin. Additionally, many essential oils including lavender, patchouli, geranium, tea tree, and sandalwood are known to have healing properties and can further help cracking skin. 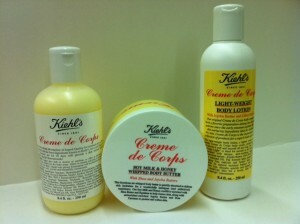 Kiehl’s Creme de Corps line features Shea and Jojoba butters for rich hydration. 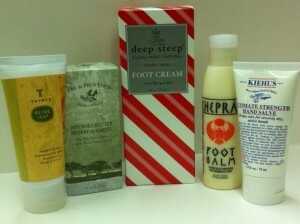 Assortment of heavy duty hand and foot creams available at Garden of Eden. 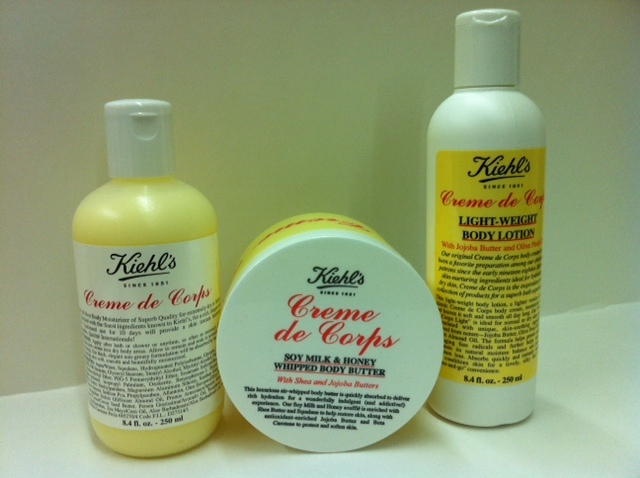 This winter, exfoliate, oil, and condition your skin!